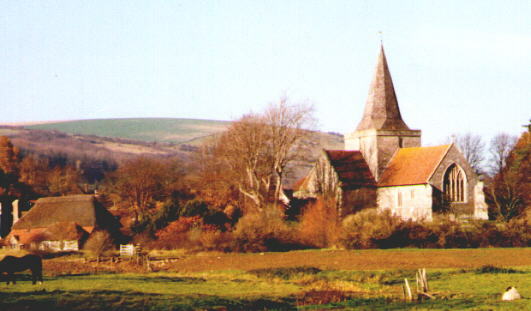 Dating back to 1360, the aptly-named 'Cathedral of the South Downs' is unique as a village church. St. Andrew's is set on a small mound by the river and built in the form of a cross. The central tower and spire dominate the skyline, with a peal of six bells which are rung from the centre of the church. A new Gallery has recently been installed over the internal porch to the main west door. This was duly "sung in" by the West Gallery Quire based in Lewes - Sussex Harmony. In the centre of the Village, the church stands next to the Village Green, known here as The Tye. The church is normally open to visitors daily from 9.00am to 5.00pm or dusk every day. There are three Sunday Services, held at 8.00am, 11.00am, and 5 or 6pm.